Paige Dolecki - Stampologist: Almost here! August 1st is just around the corner and all the wonderful new products from Close to my Heart in the Fall/Winter Idea Book will be released! I've been busy creating in my craft room but alas, there is no way I could afford ALL the wonderful products all at once - so what is a girl to do? Join a BLOG HOP of course! 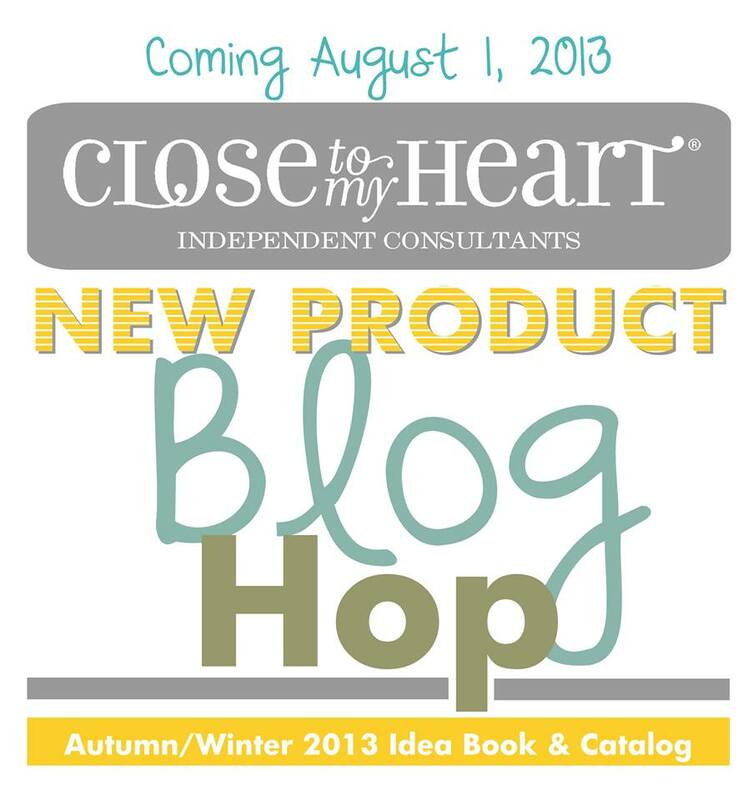 On August 1st I'll be joining in with a big group of Close to my Heart consultants to share artwork featuring the new products! With so many consultants joining in there will definitely be a smattering of almost all the new products and I'm sure a heavy dose of the new Artbooking cartridge that we are all in love with! I can't wait to share with you all throughout the month of August as I have several groups I'm joining up with to showcase all the goodies! To make sure you don't miss any of the fun, you can Like me on Facebook by clicking HERE (and then hover over the like adjust your settings to get my notifications) or you can follow this blog by e-mail (in the upper right corner of my blog page) and have my posts delivered straight to your inbox! If you are local to me and want to see everything up close and personal, mark your calendars for Friday, 9th of August at 7PM for my Open House! More details will be coming soon but you won't want to miss my twice a year celebration of YOU as my wonderful supportive customers and the AWESOME new CTMH goodies!